Improve your website's speed. Google increasingly pays attention to speed in its ranking algorithms. They've explicitly stated that in a blog post. The key takeaway: Slows sites simply won't rank. Guest behaviors show the same thing, with bounce rates climbing as page load times increase. We've reached a world where instant gratification isn't fast enough. Look at investing in a proper CDN and getting your tech team to improve your website's code to lower load times and improve the guest experience. Switch to HTTPS. Security represents another critical aspect improving ranking within search engines. Google Chrome now highlights insecure sites and data suggests that if you're site isn't using HTTPS today, you're hurting your ranking — and your opportunity for sales along with it. Ensure an outstanding mobile experience. Mobile accounts for more than half of all pageviews online. And Google split its index into two this year, ranking your site's mobile and desktop experiences separately. Given how many guests use mobile as their primary device when browsing and booking hotels, a poor mobile experience tells Google and guests alike that you're not interested in their business. Invest in content. Finally, when it comes to the web, content is, was, and always shall be king. 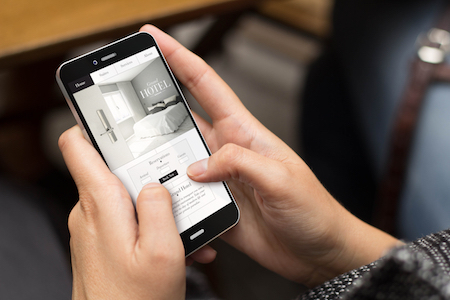 A fast, secure, mobile-friendly web experience won't matter if your content doesn't help guests understand what makes your hotel the right choice for their next stay. Talk with your guest-facing personnel to understand the questions your guests ask most frequently, then invest in text, images, and video to answer those questions for your site visitors too. Continue improving connectivity. Metasearch continues to grow as an option for attracting guests and driving direct bookings. Do your connectivity partners help you reach the right guests, not only on Kayak, TripAdvisor, and Trivago, but also on Google Hotel Ads too? They might find a different hotel altogether while shopping around. Don't teach guests to shop around for a better rate. Provide clear and consistent pricing across your channels to connect with the guest and convert them to a long-term advocate for your property. Become best friends with your data. Your guests provide you enormous amounts of data before and during their stay. Spend some time next year on getting that data into shape so that you can deploy AI, predictive analytics, and personalization more readily as those tools mature. OTA's and intermediaries such as Google have invested in learning all they can about your guests. It's time you do the same. Relatively low-cost tools like Google BigQuery and its competitors can help you get your data in one place and use it to better understand your guests. Make some time this year to get to know your data better so that you can spend next year getting to know your guests better. Obviously, you'll need to pay attention to privacy too — as Facebook's struggles over the past year illustrate. But, in either case, data matters this year and demands your attention. Don't forget the on-property mobile experience. Many guests today would rather leave home without deodorant than leave their phones behind. Think about how you can help them put those devices to use to improve the guest experience and grow your business to boot. Already Expedia has taken steps to get deeper into the guest journey, such as with its investment in Alice. We're already fighting to keep bookings; don't cede the on-property experience to OTA's too. Whether through on-property messaging, mobile keys, or simply improved Wifi, look to integrate the mobile experience and the on-property experience for guests during each stay — and help them remember why you should be their first choice for their next stay too. Now these are just of few of the hotel marketing tech trends you want to watch in the coming year. Of course, you need to remember that even the best marketing technology won’t save you from a bad hotel marketing strategy. But these should point you in the right direction and give you a great place to start. Here we are in mid-2018, gearing up for our 2019 budget season, and once again everyone’s talking about how important it is to grow hotel direct business and get guests to book direct. Brands are putting increased emphasis on loyalty — or at least on offering heavily discounted rates to guests willing to sign up for their loyalty program. Individual hotels are touting their best rate guarantees — or offering heavily discounted rates… Are you sensing a theme here? In truth, all this is great. Seriously. I’m absolutely in favor of driving direct business. But too often it’s focused on the booking. And on discounting. We’re spending money to buy the booking. Why aren’t we willing to invest to buy interest earlier in the process? We’ve become so focused on the booking, we sometimes forget how to talk to guests before they’re ready to book. One study shows that guests who start their booking journey on an OTA reserve through OTA’s around 93% of the time. Meaning that guests who start on an OTA will choose to book direct only about 7 times out of 100. By contrast, guests who start on a branded website book direct about 60% of the time (though, admittedly, they may not always choose your property to book direct). To put it more plainly, guests can’t book direct, ever, if they don’t come to your property or brand website at some point while shopping for travel. Period. So where’s the investment in attracting guests to visit early in their decision-making process — the dream and plan phases, not just when they’re ready to book. Think of it this way. A 150-room property selling for $130/night and running at 64% occupancy with an 18% OTA margin — all roughly average in the current market — typically surrenders about $100,000 in topline revenue to OTA’s. How many have demonstrated the willingness to invest a healthy share of that amount in content creation to attract guests early in their browsing, shopping, buying activity? We’ve said for years that content is king; shouldn’t we be more willing to invest in it? By contrast, that same representative property will generate roughly $900,000 in revenue through its website (assuming industry-average 20% website revenue and giving no credit to web for voice or walk-in). If you include voice and property-direct, those numbers roughly double. How much are you willing to invest to drive that number higher? Would $50k sound too expensive? Remember, that’s still half what you’re already paying OTA’s. Does this sound crazy to you? Well, here’s a crazy idea for you: Google has announced a new program that brings a professional video director to your business to shoot a video advertisement. The price tag? $350 in YouTube advertising. That’s it. The search giant clearly understands what customers want; those customers literally tell Google what’s important to them millions of times every single day. Do you think Google might know something useful here about customer behavior? Guests are starved for content about your property, your destination — the attractions, events, shops, festivals, concerts, entertainment and businesses near to you. And the first rule of selling travel to consumers remains “sell the destination first.” Research from Google shows that travelers tend to start their travel planning by searching destination-related terms. This is a huge opportunity to attract guests to you early in their planning, place your property at the center of their consideration set, and then turn them into reservations. But only if you’re willing to make the investment. Budget season is right around the corner. It’s time to start thinking about where to put your money, where to invest to grow your business next year. This isn’t about building a new website or finding a new booking engine or — heaven help us — planning for a new “closed user group” you can sell your property to more cheaply. This is about investing in “the painting” — your property’s content — not just “the frame.” It’s about telling a story designed to attract and capture interest from potential guests. It’s about getting them to start their journey with your hotel in mind. Or you could just continue to pay “loyalty” programs and OTA’s and intermediaries to do that for you — to you — again. But I wouldn’t recommend it. Late last year, we took a look at 10 tremendous insights into the trends driving hotel digital marketing in 2018. An overarching theme of the piece was the critical role that technology plays in driving changes in guest behaviors and hotel revenues, especially revenues of the direct booking kind. I suspect that’s a topic still near and dear to your heart and especially important as you start gearing up for next year. Given that, it seems fair to ask, how is technology changing the hotel industry? And how can you use those changes to benefit your hotel? Key Hotel Technology Stats Worth Watching. Obviously, there’s lots of change going on. How much change? 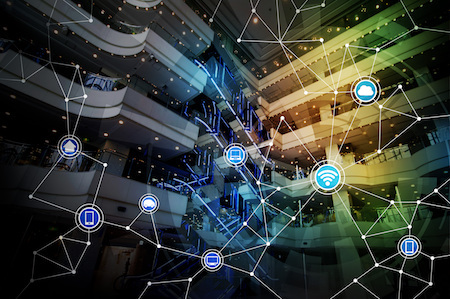 Well, this set of 15 mind-blowing stats about digital trends in travel and hospitality from CMO.com offers critical insights. Among the most interesting? Another Adobe stat says that fewer than one in five “…executives at travel and hospitality brands said they believe their company is a digitally mature organization.” That’s a huge benefit, because it suggests you’ve got plenty of runway to improve relative to your competition — at least if you choose to take advantage of it. It Ain’t Just About Technology. Sure, technology is important. But it’s secondary. It shouldn’t be a secret that great marketing technology won’t save you from a bad hotel marketing strategy. Your success depends not only on having the right tech, but on having an excellent strategy and effectively executing that strategy. It’s fair to ask, “how important is technology to hospitality marketing?” but if you’re focused solely on the tech, you’ve got your carts and horses the wrong way ’round. Guests Continue to Take Ownership of their Experience. PhocusWire put together a must-read piece that explains why hotel rooms belong to guests, not hoteliers . As you might imagine, guests have clear expectations of the experience they’re looking for each time they step into “their” room. The technology that they encounter — whether hands-on or through a front-desk agent or concierge — influences their overall guest experience. Guest will remember waiting to check-in, order room service, or schedule a spa treatment because your system is too slow. Similarly, Amazon launched a version of its Alexa system for hotels at HITEC this year, which is particularly interesting given that Booking.com says business travelers are ‘warming’ to chatbots. Your guests are getting accustomed to technology serving their needs. Is your service growing along with them? Want to Get There Fast? Plenty of Potential Partners Exist. Does all this talk of tech leave you terrified? Well, you don’t have to go it alone. For starters, Skift put together a great round-up of its top travel startups to watch, which can help you figure out the tools and tech to help you excel. While some aren’t yet ready for prime-time, entrants like the (somewhat) more mature Fornova, Journera, and MisterFly might fit nicely into your overall strategy and help your properties get ahead of the curve next year. And, of course, there are plenty of exceptional hotel marketing/distribution consultants and agencies out there who can help you put the pieces of the puzzle together to grow your business. Troubling Trend: Too Many Hotels Continue to Sit on the Sidelines. You’d think given the facts outlined above that hotel marketers would be racing to assemble that puzzle for themselves. But SiteMinder offers a very thoughtful report showing many hoteliers remain in a ‘holding stage’ assessing the best tech trends. That’s a shame, given how important technology is to your overall hotel marketing and distribution strategy. What are you waiting for? Don’t forget, the OTA’s surely aren’t in a holding pattern. Booking.com went shopping for more metasearch capabilities and landed HotelsCombined to go along with its earlier pickup of Momondo, Cheapflights, and Mundi last year, as well as FareHarbor this April. And Expedia has made a huge move into packages in just the past few weeks with its Add-On Advantage offering. This isn’t about the future. This is about what your guests experience — and expect — right now. Even More Change is Coming. Finally, don’t forget that the changes in hotel technology we’re all dealing with are just the beginning. Whether it’s virtual reality, augmented reality, blockchain, AI or something else altogether, the next major disruption is right around the corner. For instance, there are all kinds of reasons why AI will change hospitality marketing forever and why voice, VR, and AR might be more hope than hype in the next few years. Keeping on top of these trends matters. 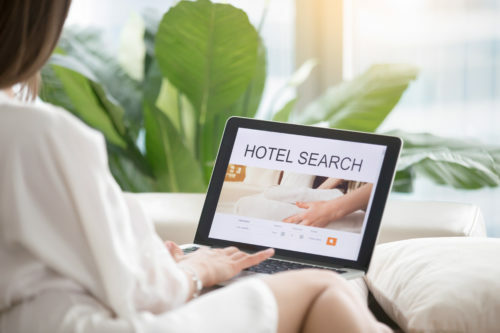 What’s most important is for hoteliers to stay focused on the benefits of digital marketing for their property, and to stay in touch with how digital changes guest expectations and behaviors. Because no matter how much technology changes the hotel industry, your guests will continue to expect a great experience. And that will never change. I don’t know about you, but I’m so done hearing about the tech that will save the day for hoteliers. Another topic enters our lexicon of trending terms that will undoubtedly “…break the backs of intermediaries and upstarts” virtually every single day. You could call them the ABC’s of disappointment: AI, blockchain, chatbots and a host of other technological marvels that claim they’ll completely upend the status quo and return hotel marketers to their rightful place at the top of the mountain. Just recently, Airbnb announced it will now accept — for a modest fee — hotel listings alongside your nephew’s spare air mattress and those undersold condos down the block. Now, don’t let my snark suggest that these are all bad ideas. I believe most of these platforms and technologies offer opportunities to improve how we connect with guests. AI already plays an enormous role in shaping how we find, attract, and convert customers not just in the future, but today. Blockchain represents an exciting foundational technology that may disrupt business every bit as much as the internet has. Chatbots offer the potential for guests to access information they need in simple spoken language while reducing the heavy overhead associated with contact centers (though, admittedly, not without introducing some substantial overhead of its own). Even the Airbnb announcement likely represents an effective, low-cost distribution channel for your unused hotel inventory. Those all are positive developments, ones you should put to work for your property. But only when and where appropriate. The only way you regain control of your distribution and marketing is to, y’know, take control of your distribution and marketing. It’s to take the time to understand the changing needs and behaviors of guests, to uncover the best sources of revenue and profitability for your property, to focus on providing guests differentiated service, and to develop a comprehensive hotel marketing strategy that connects those with effective processes for finding, attracting and converting customers to loyal, repeat business for your hotel. That’s not helpful. It increases confusion, decreases understanding, and only really helps those selling services that way. More importantly, it diverts you from building and following an effective plan. Don’t listen to that. Instead, listen to your guests. Learn what matters to them throughout their journey. Then use only the technologies that help you improve their overall experience. Yes, it can be fun to play with new tech. And your plan should accommodate testing new ideas, new channels, and new opportunities. But if you’re constantly chasing the, quote-unquote, latest and greatest, without integrating those into a thoughtful, holistic hotel marketing strategy, you’re really just chasing your own tail. So, sure, listen to what’s happening with technology. Understand how it affects guests throughout their journey and how it can help you create a positive experience for your guests. But keep your carts and horses in the right order; use technology to support your overall strategy, not in place of that strategy. After all, when you take care of your guests, helping them throughout their journey, meeting their needs, that’s where the real magic happens. 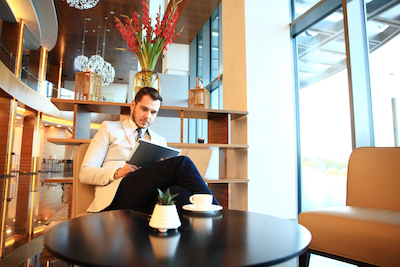 Let’s lead off with these 7 social media marketing tips to promote your hotel from the fine folks at Revfine.com, which makes an outstanding companion piece to this look at whether social media is a waste of time for hotel marketers. Speaking of some fine folks in travel marketing, don’t miss these top 10 ways to drive direct bookings in 2018 from the equally fine folks — and friends of Thinks — over at Fuel Travel. Google offers a look at how the travel industry is shifting to assistance as part of its “Think With Google” series. They say imitation is the sincerest form of flattery, so we’re fairly flattered by the name of that Google series. Sabre released its annual “Emerging Tech in Travel” report for 2018, which you definitely will want to download and digest. Artificial intelligence is one big trend Sabre calls out and that we’re watching closely here at Thinks Central. In fact, it’s well worth your time to take a long at why AI will change hospitality marketing forever. 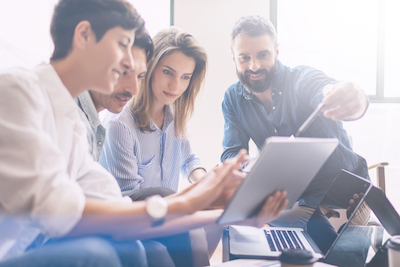 Another major hotel marketing trend you’ll want to watch is the increasing integration of digital marketing and revenue management. That’s just one reason why Duetto says revenue management requires a team, not a hierarchy. Great stuff, not to be missed. This is from a few weeks ago, but you absolutely want to check out this Hotel News NowQ&A on what hoteliers must know about digital marketing with our own Tim Peter. You’ll also want to spend some time with these 10 tremendous insights into the trends driving hotel digital marketing in 2018 from the Hospitality Marketing Link Digest series here on Thinks. Obviously, it can be overwhelming for hoteliers to keep up with all these trends and changes in the industry. And it’s fair for marketers, revenue managers and distribution folks to ask“is it time to give up?” Clearly, we’re confident the answer is “no.” But take a look at the full post to see just why that is — and how you can make digital marketing work for you in 2018 and beyond. Have a great weekend, Big Thinkers. See you next time!